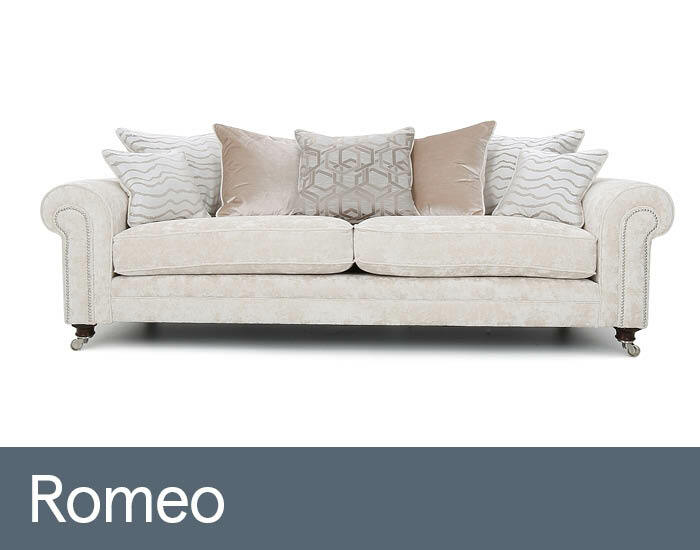 Romeo’s generous, perfectly balanced proportions and graceful scroll arms are neatly finished with sophisticated nickel studs and designer castored legs to ensure an opulent, grand classic statement. Finely tailored in a fashionable collection of luxurious, coordinating fabrics, Romeo has a very much contemporary twist. Its plump, premium fillings and fully sprung seat platform guarantee an indulgent level of comfort and relaxation.